I just wanted to express my gratitude to all of you who have followed me and my journey, to the path to the Eternal Kingdom. We all go through this together, in the hopes of reaching a common final destination, to sit in the very presence of God, The Father of Creation(Jehovah, Yahweh, Devum). We must remember that with day we take on this path, that because of the path we have chosen that evil will try to throw anything and everything at us to deter us off of this path. Did he not do the same with our Lord and Savior, Jesus Christ ( Yeshuay, Yeshu Christu, Yeshua)? So who are we to think that we are exempt from such trials? The most important thing, with the evolution of our spiritual journeys is that we repent…repent….repent! Our human nature is a sinful one, and God knows its flaws. But it means that we are not to accept them, and to change from them. He gives us till our last breath in our earthly bodies to do so. Repentance….is so important. It is the recognition of the sinful human nature. It is recognition of the straying away of the original greatness that God, the Father of Creation, made for us to be. It is the recognition of not accepting the flaws that are caused by this sinful human nature, that was creating and fractionated when the Satan, appearing as the serpent in the Garden of Eden, introduced sin and disobedience to God, to Humanity. Our spiritual journeys is a constant refinement in abiding to the Divine Laws of Love, which are ways of Nonviolence, Mercy, and Unconditional Love. This is what Jesus Christ (Yeshu Christu, Yeshua, Yeshuay) showed on the Cross, at Calvary. Thank you again for all those that continued their support through out these years, and the new ones that came along this journey with me. Repentance in front of an Unconditionally Loving God is my message….and praying and wishing for all of us to be found worthy to enter into the Father’s Eternal Kingdom. 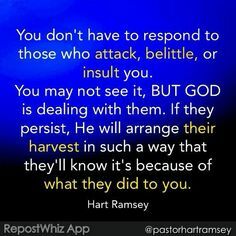 This entry was posted in Thoughts, Uncategorized and tagged A call to help fellow man, Armor of God, Battling Evil, compassion, Devum, discernment, enduring trials, evil ways are temporary, Fight over souls (good vs. evil), God's Love, God's ways are permanent, God's Wrath, Good vs. Evil, Jehovah, Jesus and His Crucifixion, Path to Truth, Persecution, Refiner's Fire, Satan's deception, Self Refinement, Spiritual Battles, Spiritual Journey, Steadfast Faith, Unconditional Love, Yahweh, Yeshu, Yeshu Christu, Yeshua, Yeshuay on June 26, 2016 by foodforthespiritualsoul. The highest point in a spiritual journey is understanding that there is a Higher Force, that reigns above all the ways and things of this world, where the abundance of Love, Mercy, and Nonviolence comes from. However, there is also the realization that this Source is so Pure and Holy, that we realize our own flaws and imperfections…that we are not worthy to stand in front of such a source, as we are at the time of birth. The realization of how flawed human nature is, and how ungodly we are. For this reason, we are to not accept the flaws that are brought to light to us by God, the Father of Creation (Devum, Jehovah, Yahweh) , but to continuously repent. Repent for our flaws…repent for our wrongs that we commit to another person of our fellow man. It takes this humbling, to be a Servant for the Eternal Kingdom of God, the Father of Creation. The Unconditional Love that Jesus Christ (Yeshu Christu, Yeshua, Yeshu), His Son, showed all of Mankind on the Cross, is about giving Mankind another chance to make this realization of how holy and pure God is, and how flawed our human nature is. He is giving us another chance to turn away from such sinful ways. Repentance requires a suffering…..a torment of the flesh, to purify the soul. It is within our daily lives, bringing things to which is hidden to the surface. The carnal sin of PRIDE is what allows for some to think that professes to accept the flaws…that it is too late to make things right. No, in the Eyes of the Omnipresent God, there is always the time to make things right, once your wrong is brought to your conscience. Unconditional Love is not about accepting the good and the bad, and that there is no need to change…..we should remember that God, the Father of Creation (Devum, Yahweh, Jehovah) sees the innermost thoughts, actions, and intentions of the mind and heart. Repentance is about recognizing what happened in the Garden of Eden, by evil, to Humanity. What many do not understand is is that this rebellion was passed down generation to generation. Yes, sin can be hereditary. And because of this, it can not be broken by our own human strength and will; but by spiritual strength and God’s Will. To know of the flaws of human nature, of our own being is have the presence of the Holy Spirit being granted upon us, to discern the deception of evil, not only within this dim world, but also within ourselves. In the presence of God, we would all crumble, because of the sinful human nature, that we had not repented for….this is how Pure and Holy, God (Devum, Jehovah, Yahweh) is. It took a Sinless Jesus Christ, to be the shock absorber of the sins of Humanity, to give us another chance to change from our sinful ways. Once day we will all be held accountable to the Father of Creation, through Jesus Christ His Son, each and every one of us. It would not matter who made you do what or say something (we all have the freewill to chose). To stand before the Judgement Seat of the Holy Eternal Kingdom, will bring us to our knees when we stand before the Holy Throne; and all things in our life will flash before us, to where all of our flaws that was seen by the very Eyes of the Father of Creation had accounted for; and what we did not account for. While we see 10 of our own flaws, the Holy and Pure God has seen 10 x 10. God sees whose heart has been repentant, and who has the intention to be repentant. Because this is a heart and soul that recognizes the authority of a Sovereign God, the Father of Creation, whose Kingdom’s Ways abide in the Divine Laws of Love, ways that are Nonviolent, Merciful, and Unconditional Love. People often mistake that the definition of such things are those of the earthly sense…but a spiritually enlightened soul knows that Divinity abides not of the earthly ways, but of the ways of the Eternal Kingdom. Just as Jesus Christ showed us with His Life and Death, we are to humble ourselves to the point of being “passer bys” in this life…in serving others. To rid all pride, which comes in all kinds of forms. This requires to be the last on this earth…in all its ways. This entry was posted in Thoughts and tagged Armor of God, Battling Evil, compassion, Devum, discernment, enduring trials, Evil, evil ways are temporary, Faith, God's Love, God's ways are permanent, God's Wrath, Good vs. Evil, Jehovah, Jesus and His Crucifixion, Jesus Christ, Path to Truth, Refiner's Fire, Satan's deception, Self Refinement, Spiritual Battles, Steadfast Faith, Unconditional Love, Yahweh, Yeshu, Yeshu Christu, Yeshua on January 17, 2016 by foodforthespiritualsoul.